A stroke can happen to anyone and at any age, but, according to the Centers for Disease Control and Prevention (CDC), 75 percent of all strokes in the UK occur in people over the age of 65. Stroke recovery can be especially daunting for family caregivers and can cause high levels of emotional, mental, and physical stress for both the stroke survivor and their carer, says the National Stroke Association. 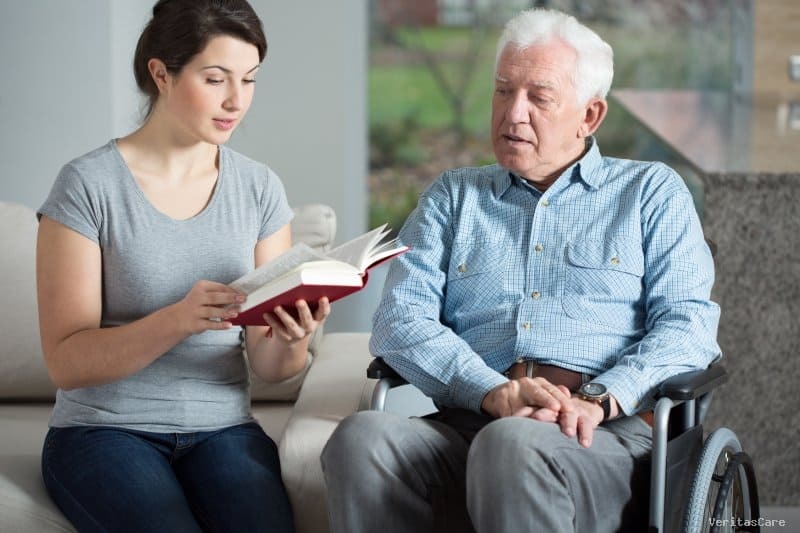 To help a loved one get back on track quickly with less stress, you may want to look into temporary or longer-term assistance from a local licensed homecare agency, a skilled nursing provider, rehabilitation facility, and/or therapists. For example, when someone experiences a stroke, recovery often involves a family member, spouse or friend helping their loved one to communicate after a loss of speech or re-learn balance, movement and mobility skills due to weakness or paralysis on one side of the body. Home is the place that allows us to feel safe and secure, so it’s important to make adjustments that keep this space safe and manageable for someone who may have limited mobility and physical weakness. Going upstairs to the bedroom may no longer be an option because your loved one may require assistance. Grab bars and/or seats may need to be installed in bathrooms to prevent falls in the shower. These and other modifications can be very helpful when returning home from the hospital after a stroke. Ask the doctor about having a homecare specialist, such as a Registered Nurse, assess the home for other modifications that might help your loved one regain independence and keep them safe and comfortable. Every little bit counts, especially in stroke recovery, so it’s important to chart progress daily and use little victories to motivate bigger changes. Throughout the rehabilitation process, we often see patients asserting their independence and wanting to “do it myself.” That’s fine, with your doctor’s supervision, but we often have to remind stroke survivors that it’s perfectly acceptable to ask for help. Caregivers typically have to learn to accept outside assistance as well, whether it is from family members, friends, or professionals. Prolonged caregiver stress can lead to conditions like high blood pressure and diabetes, which are both risk factors for suffering a stroke yourself. After any serious illness there is an adjustment period, which means getting back to a new normal won’t happen overnight. A once talkative parent or spouse may now be silent. A friend who previously ran marathons may now need assistance to walk just a few steps. It’s important to remember to be patient—with yourself and your loved one. And although rehabilitation almost always involves hard work, it’s important to remember to let go and laugh a bit every once in a while too. For many stroke survivors, lifestyle changes will be a big part of the recovery and rehabilitation process. It’s important to keep blood pressure, body weight and cholesterol in check. Providing healthy foods for your loved one can reduce their risk of having another stroke, and may help with the demands of stroke therapy and other daily activities, experts say. Joining your loved one in these healthy lifestyle choices will reduce your risk of stroke as well. Consult with your doctors regarding progress and concerns you may have about your loved one, and pay attention to their physical and emotional health, and yours too! Remember FAST (Face drooping, Arm weakness, Speech difficulty, Time to call 999), an easy-to-recall acronym that can help you spot the signs of a stroke recurrence and move into action quickly. Whether it’s walking the dog, getting the mail out of the mailbox, taking a shower, or even emptying the dishwasher, personal goals are often the best motivators for successful stroke rehab. Take recovery and caregiving one day at a time and set realistic goals to keep yourself or loved ones motivated throughout recovery. For example, helping a loved one set a specific goal to brush their teeth or wash their own hair may lead to better results than just making an abstract commitment to “take care of myself.” But remember, there’s no one-size-fits-all recovery process—everyone is different. It’s important to remain flexible and keep an open mind. Last but not least, the path to recovery is likely to have many twists and turns, but staying positive will be a key element to success. Remember, you’re not alone, and resources and help are often very nearby.